The outdoors is subject to attracting dirt due to constant exposure to changing weathers, dust and dirt accumulation and yes foot and at times vehicular traffic too. So, this will render the outdoor areas dirty and unsightly. So, what can be done to keep it clean or how do you go about getting it cleaned in the first place? Fortunately, there is a specific cleaning technique that can be applied here to help clean the outdoors of your home in Blacktown 2148 and that would be high pressure cleaning in Blacktown 2148. This is the best possible way to clean the pathways, driveways, patio, retaining walls, walkways, fencing and more. Get a round of pressure washing and cleaning done, and the effect is noticeable instantly. To keep the outdoor area clean and to make it a maintenance schedule, high pressure washing and cleaning for your residence in BLACKTOWN or Sydney, NSW roundabouts is most definitely recommended. The pressure clean and wash can be a part of the usual cleaning plan or if you are planning on selling your home, then this should be a part of the pre-sale prep work. And most of all, only expert cleaners how know how to go about a good round of pressure wash and clean. High Pressure Cleaning in Blacktown is ideal for any surface! Yes. A point to be noted and a point worth mentioning is that a high pressure cleaning in BLACKTOWN can be carried out on practically any surface. It could be made of concrete, stone, slabs, paving made of brick or slate, tiled surfaces even. 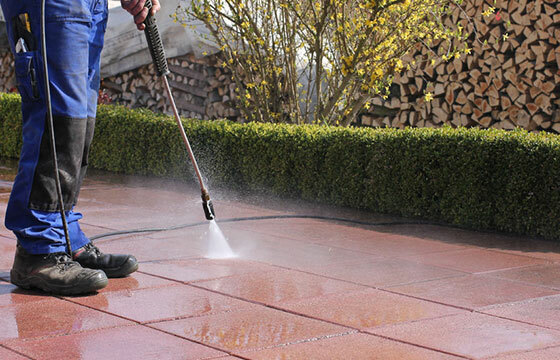 High pressure cleaning can be easily and effectively employed on any surface. It will not harm or damage any surface. Because it is safe, and the principal ingredient used here is water. Water is passed through a pressured pump and that is sprayed on to the surface to effectively clean the dirt, grime, stains, oil spills, and dust. Coupled with cleaning products, the water and the cleaning products make a nice combo and will seamlessly and effectually help clean the surface that is subject to a high pressure cleaning and washing. You augment your property value with a high pressure wash and clean in Blacktown! Any area of your home be it inside or outside, if it is not cleaned and maintained will look dirty or will attract dirt like a moth is drawn to the flame. It is very easy for an area that is not maintained to accumulate dirt and dust and look very unsightly and gross. So that is why, in order to carry out the upkeep and maintenance of the exterior surfaces of a building and to ensure that it looks nice at all times, expert cleaners from a reputed cleaning services company like Franklean Carpet & Tile Cleaning is engaged. And, our cleaners will take care of the high pressure cleaning and washing to the areas where we extend our service to and that is BLACKTOWN neighborhoods. You want a high pressure clean and wash on a regular or emergency basis and only experienced cleaners can be of help. So if you want to tidy up and get your outdoor area cleaned, then the best way is to go with Franklean Carpet & Tile Cleaning in Blacktown 2148. You can reach out to us on 0411 181 990 or email us at frankleansyd@gmail.com. Keep in mind our cost and price is cheap and will meet your budget.